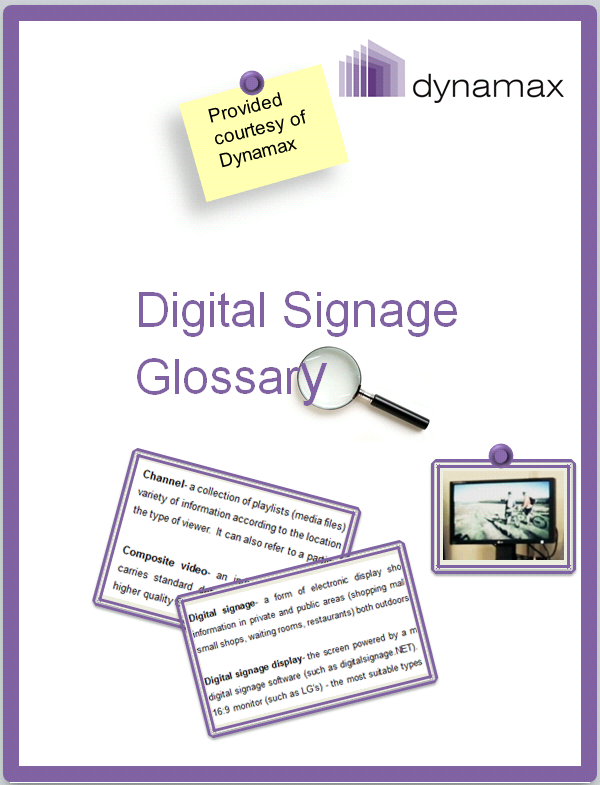 Aimed at a ll those new to digital signage, the glossary defines industry- specific terms as well as digitalsignage.NET- related ones. In an effort to give readers an overall understanding of the sector, the 62 word vocabulary explains the meaning of elements related to all aspects of a digital signage solution- hardware, software, content and installation. The differences between- and definitions of various media files. Don’t let terminology prevent you from achieving digital signage sucess. Review the most important definitions you need to know so you can plan your digital signage install correctly from the start.